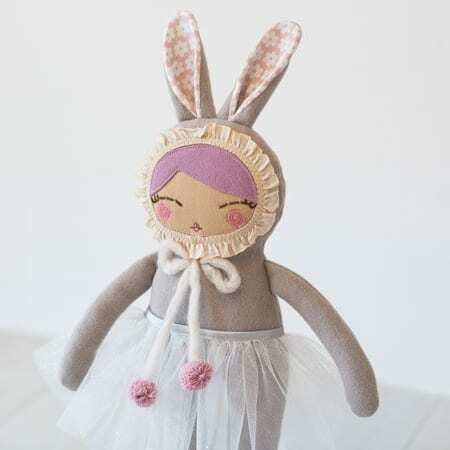 Her face is made from crisp cotton, and her eyes are hand sewn. 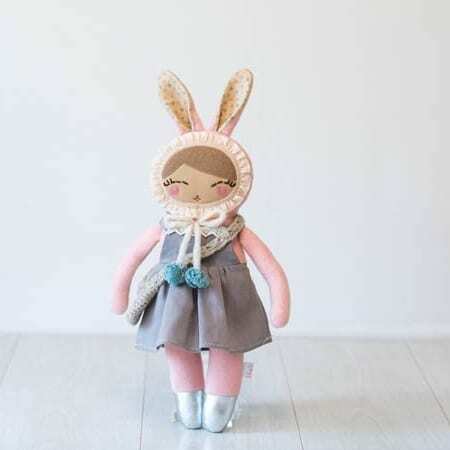 Her cheeks and mouth are created with free motion machine embroidery. 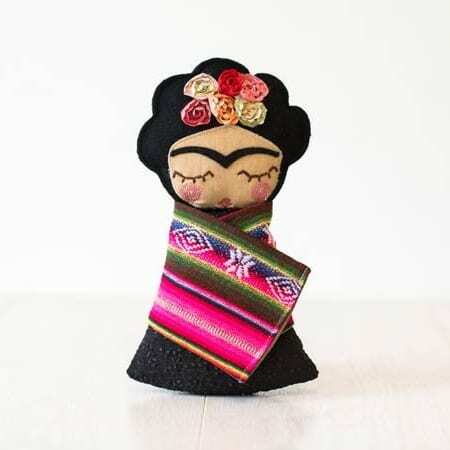 She wears a linen dress and her wrap is made with South American folk fabric. 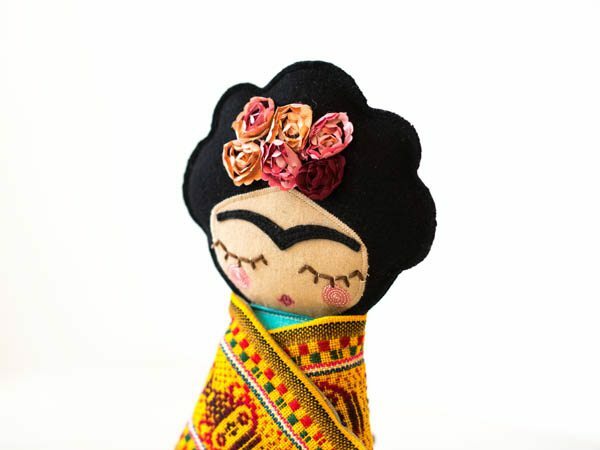 Frida Khalo’s hair is 100% wool, and she wears a bouquet of soft orange and wine coloured roses. 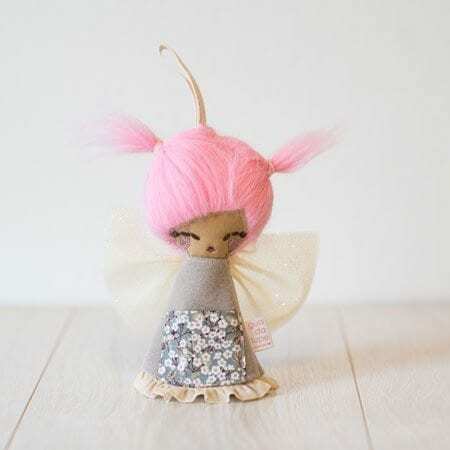 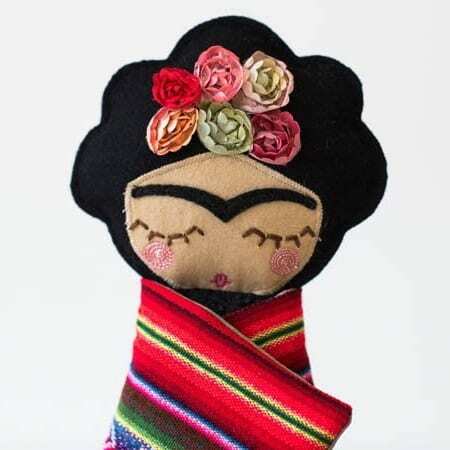 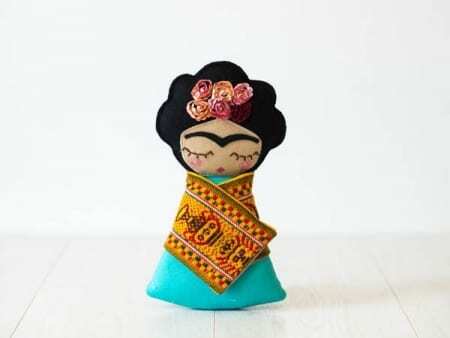 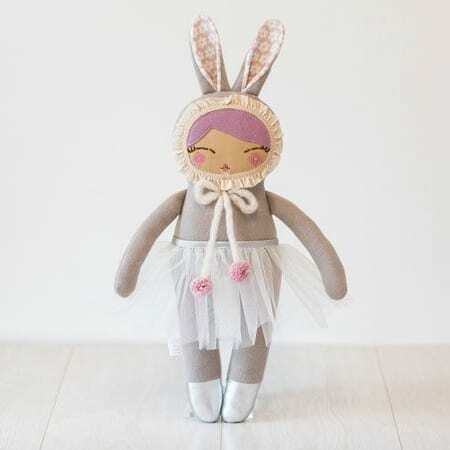 This lovely folk doll measures approximately 24 cm.